When it comes to Teen Mom, relationships come and they go. In fact, they seem to come and go even more quickly than they do outside of the show. But if there’s one thing that the Teen Mom girls are particularly good at, it’s getting back together with their exes. Now it looks like Leah Messer may be doing just that. 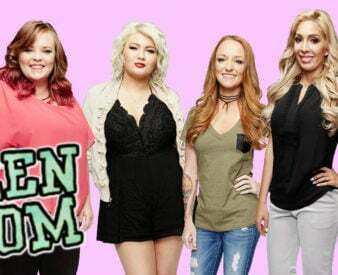 The Teen Mom cast gives new meaning to “moving fast.” Sometimes marriages can begin and end within a single season of the show, and the cast members have called off too many engagements to count. Leah Messer has been single for some time now, but is that about to change? Be sure to keep reading to catch a deleted scene from Teen Mom 2! Leah Messer hasn’t always been the luckiest when it comes to love… but the fact that she has a history of cheating certainly doesn’t help. When she split up from Jeremy Calvert, fans saw it coming from a mile away. What fans might not have expected was for her and Jeremy to get back together! Recently, it’s started to look like Leah and Jeremy were going to work it out, but then something — or, more specifically, someone — came between them. Jeremy recently revealed he had a new girlfriend named Desi. … But, as many fans predicted, it didn’t last for very long. In fact, Jeremy and his new girlfriend recently split over a cheating scandal! Could this be the “in” that Leah needs to make it work?